The Big Boss Extended Free Fall Lanyard is the new heavy duty lanyard option in our line of products. for workers within the worker capacity range of 130-310 pounds, the Big Boss can be used as an extended free fall lanyard for free falls up to 12 feet. 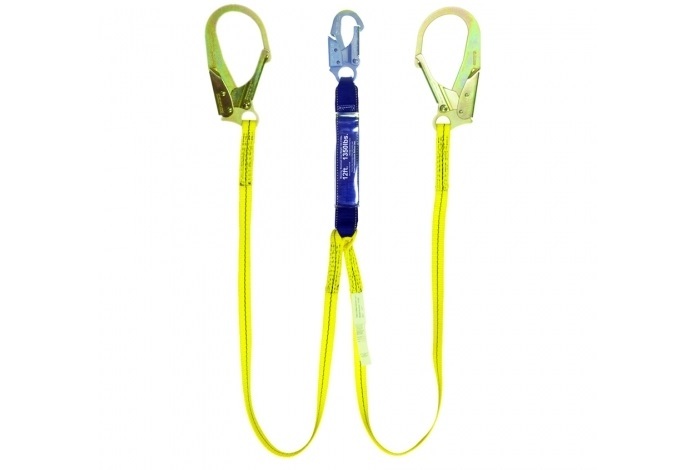 And for workers between the capacity range of 310-420 pounds, it can be used as a standard shock absorbing lanyard for free falls up to 6 feet.